Work no 492; Postcard from Planet Siluria. c. Michael St.Mark. 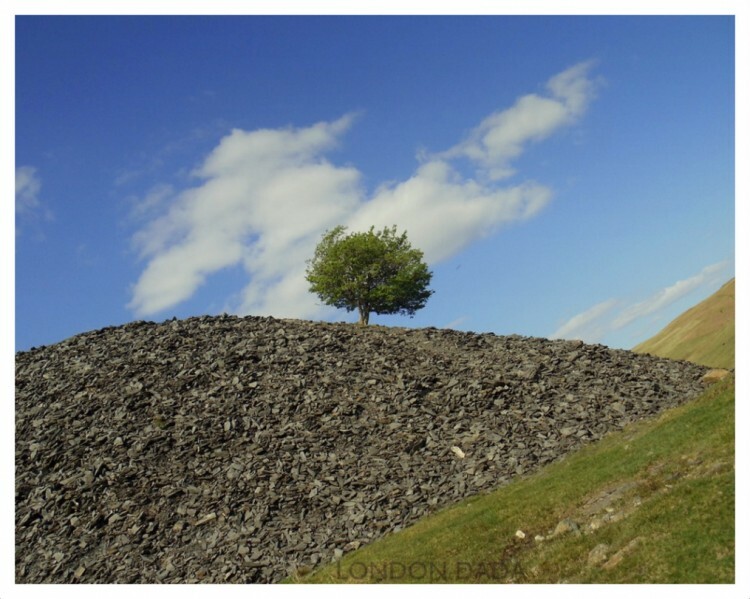 Spoil heap of Silurian slate shard castoffs with Hawthorn tree. Coniston, Cumbria.